Full Safety enclosure for your round trampoline 305 diameter. 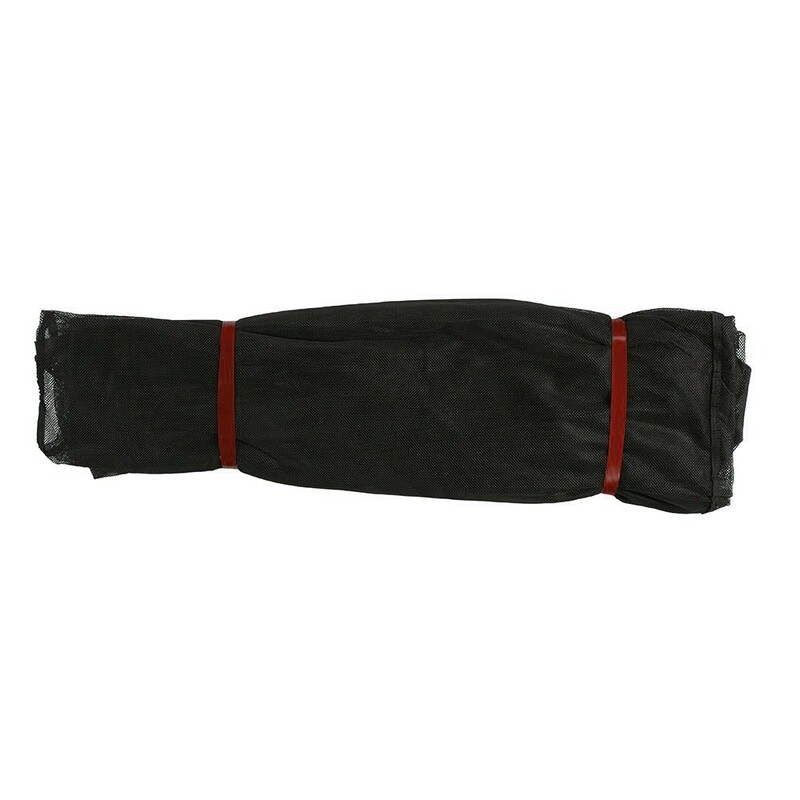 This pack includes the textile net, the net posts along with their protective sleeves. Is your safety enclosure damaged? 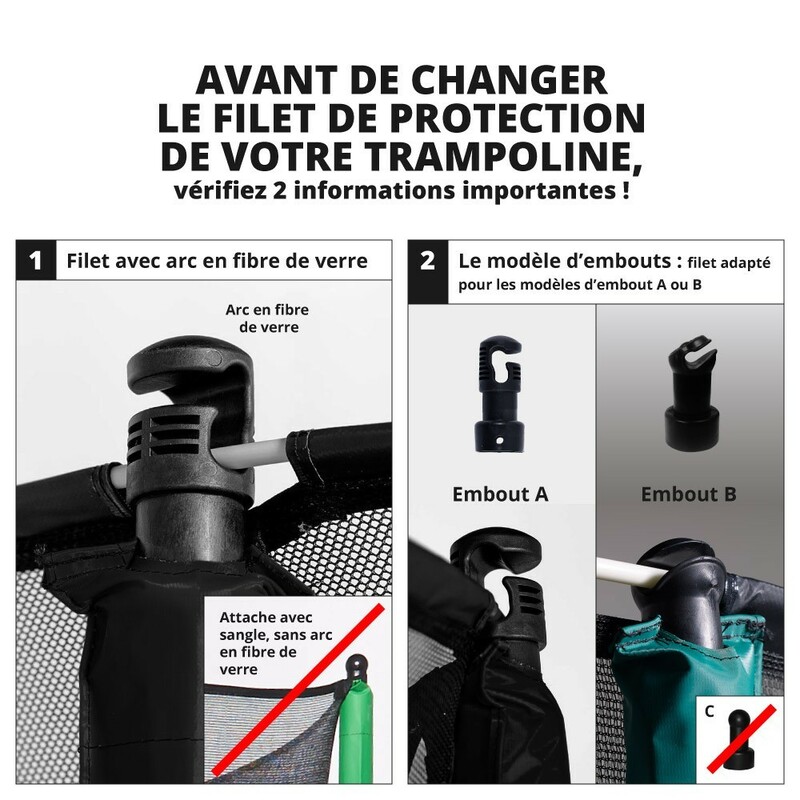 Replace your old net with this new model an offer your trampoline users maximum safety. 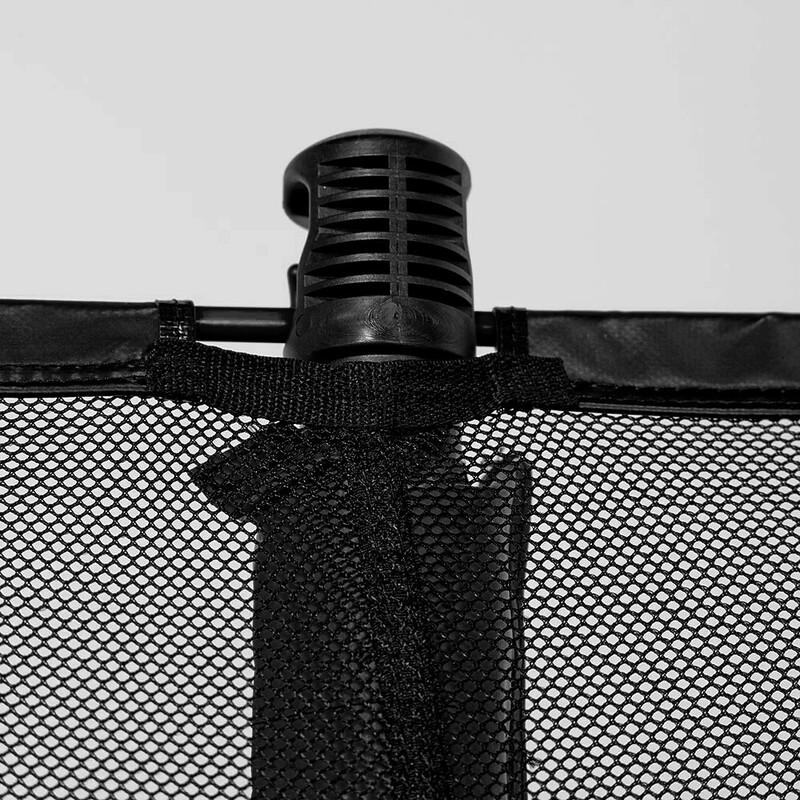 This safety enclosure is sold as a set, it includes the textile safety enclosure, the 6 net posts, set of fiberglass rods and the fixation system that goes with it. Its black look will give a sporty look to your trampoline! 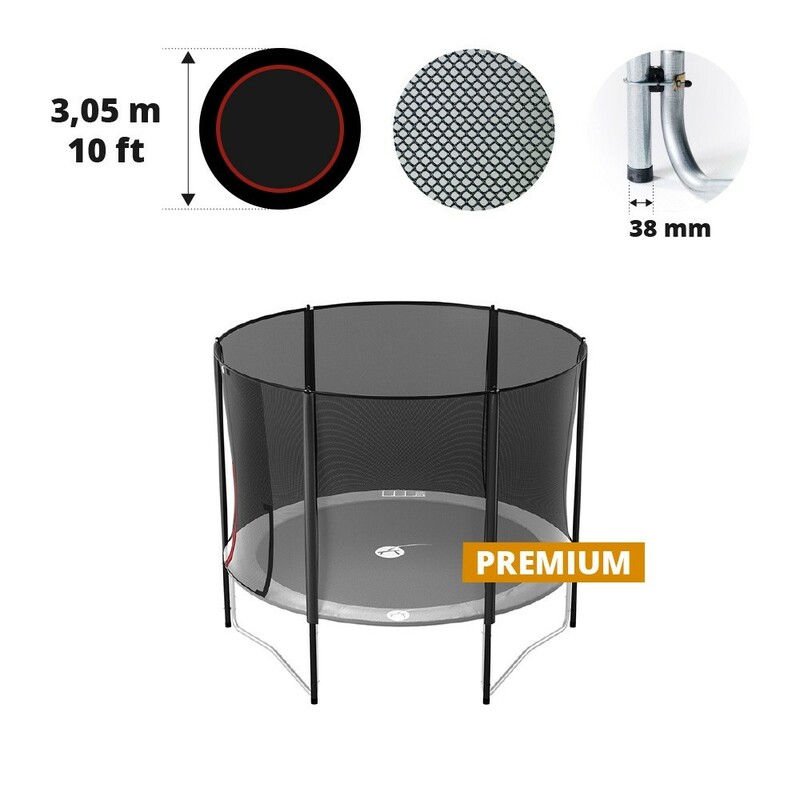 - Compatible with round trampolines with a diameter of 3.05m (10 ft.) with 3 feet. This safety enclosure is actually designed for our 10ft. 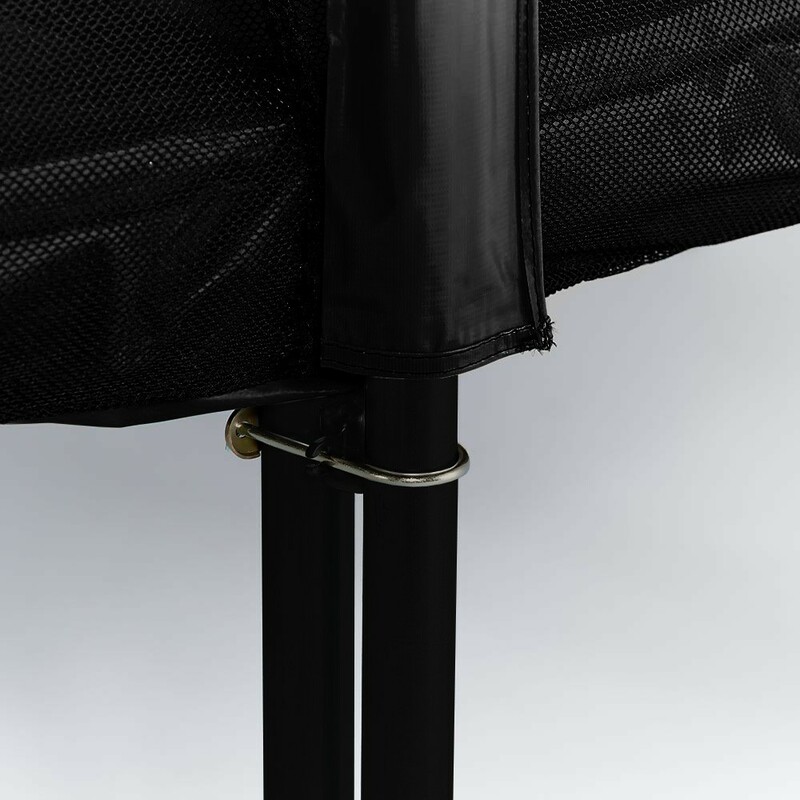 Black Booster 300 but it can suit all round trampolines with the same width. 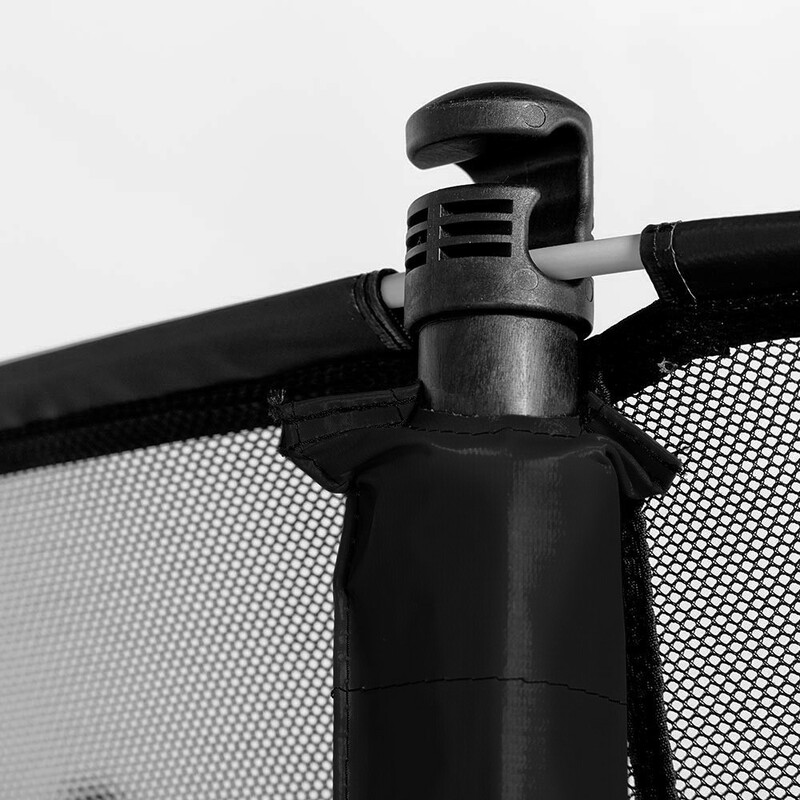 - Extremely robust, les 6 net posts are made from 1.2mm thick galvanised steel for a 38mm diameter, and stand directly on the ground, allowing for more stability for the entire structure. - Protection and safety! 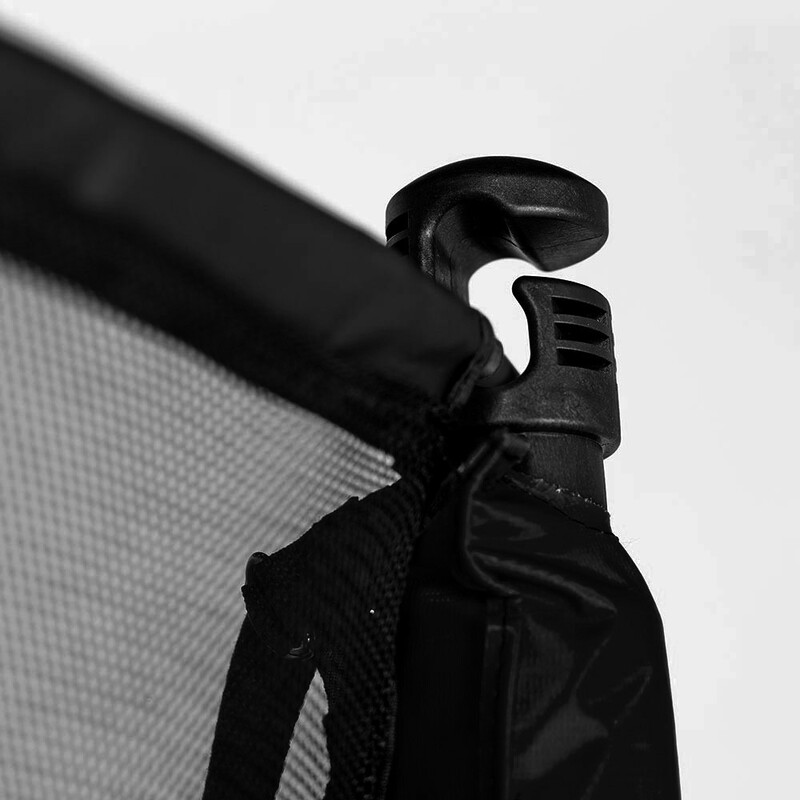 The net posts are protected by a 10mm thick foam and a black PVC sleeve. 2.56m high the safety enclosure will protect jumpers even during their biggest jumps. The net is stretched by fiberglass rods situated at the top of the posts. The fixations at the bottom are found at the frame pad under the trampoline, leaving no empty space between the frame pad and the net. 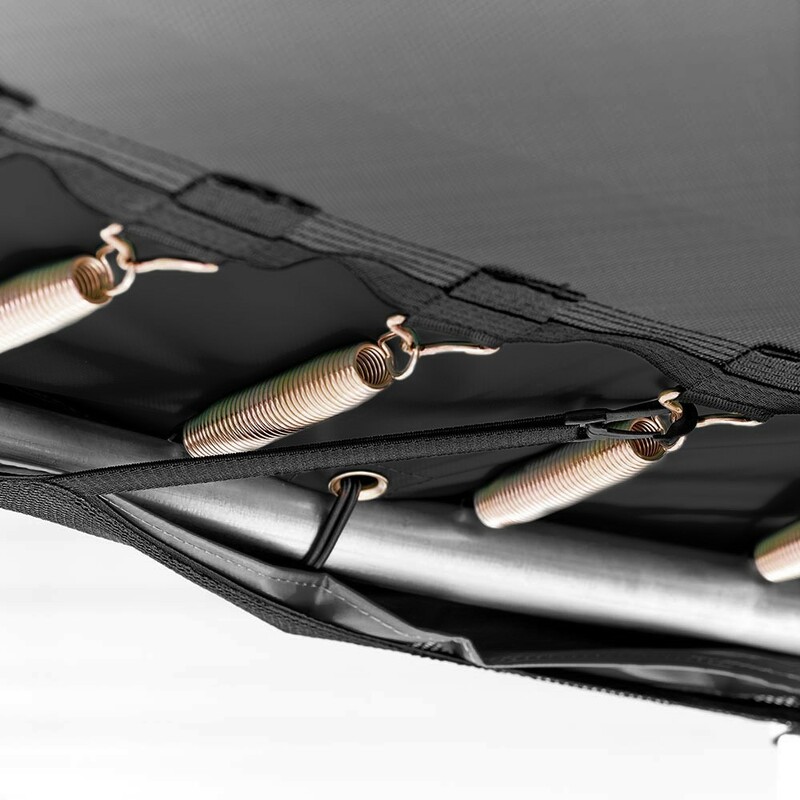 - Made from PE polyester 160g/m², thanks to its extremely fine netting there is no chance fingers will get caught in the net. The entrance to the jumping mat is through a flap door that closes with hooks and Velcro straps.